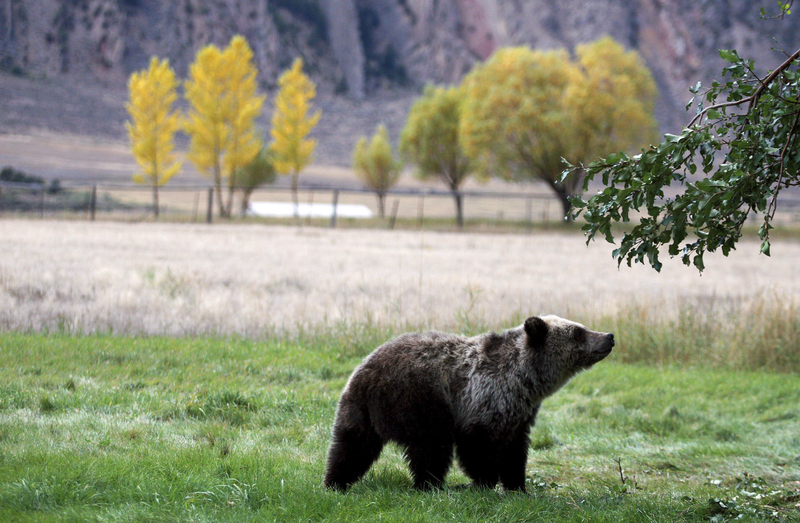 Wyoming and Idaho had been on the cusp of allowing hunters to kill up to 23 bears this fall. U.S. District Judge Dana Christensen had twice delayed the hunts, and the latest order blocking them was due to expire later this week. The hunts would have been the first in the U.S. outside Alaska since 1991. The Fish and Wildlife Service concluded last year it had addressed that and all other threats, and the agency said the grizzlies were no longer a threatened species requiring restrictive federal protections for them and their habitat. The federal agency has been moving toward lifting federal protections for another group of about 1,000 bears living in Montana’s Glacier National Park and the Bob Marshall Wilderness but it first wanted to see how Christensen ruled on the Yellowstone case. Written by MATTHEW BROWN, Associated Press. Associated Press writers Matt Volz in Helena and Mead Gruver in Cheyenne, Wyoming contributed to this story. Sad that the Environmental protection laws simply turn into anti-hunting laws. From now on they will not have the same dignity. What kind of an idiot needs to eat a bear? The problem is when Environmental laws, that are meant to do good, fail to follow their promises, so then in the future, they may be easy to beat in a court of law. Depends on the Judge now. Their integrity is gone. This has happened with the wolf issue as well. It’s not about barbecue. Another failure by congress to act even though they are the branch of government who should make law. The people elect a new congress every two years and it should decide issues of law. Federal judges are not elected by the people and are usually political appointments. They should interpret the laws set by our elected congress. It’s almost like Obama made liberal judges drunk with power. More crazy stuff happening all the time. Guess they think it’s their way to “Resist”.